Prabhu Deva has established himself as one of the most-wanted directors not only in the Tamil and Telugu film circuits but in Bollywood as well. After a long gap, he is planning to don the greasepaint and has entrusted the job of directing him to director Vijay. To be produced by Prabhudeva, the flick will feature the actor-choreographer-filmmaker himself in the lead role. 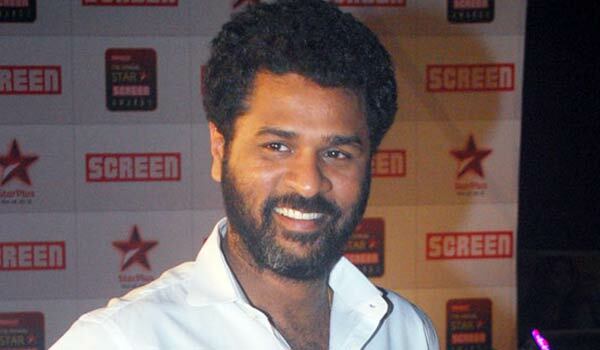 According to sources, Vijay was handpicked for the task by Prabhudeva. "Since he is playing the lead role after a long time, he wanted a director like Vijay to be at the helm of affairs," sources added. Vijay, who is busy giving the finishing touches to the Vikram Prabhu starrer, Idhu Enna Maayam, is expected to begin the shooting of this horror flick with Prabhu Deva in the lead very soon. Sources add that Prabhu Deva may be producing the film under his home banner. Meantime Prabhu Deva is shooting his 'Singh is Bling' Bollywood film with Akshay in Goa.